Hotel Vivier is an ode to women, in all their diversity and beauty, that started with a journey of exploration into the archives of the Maison, to inspire a new creative vocabulary for the Vivier woman. In Gherardo Felloni’s own imagination, women are like flowers in a garden - romantic but sometimes abandoned – where many varieties have taken their rightful place, in freedom. That very imagination and rich variety of women are at the heart of a living and breathing world for the presentation of the collection. Stepping through the doors of the ‘Hotel Vivier’ is like walking into a sequence of scenes from a film. At the intersection of fiction and reality, the experience feels both familiar and unexpected. 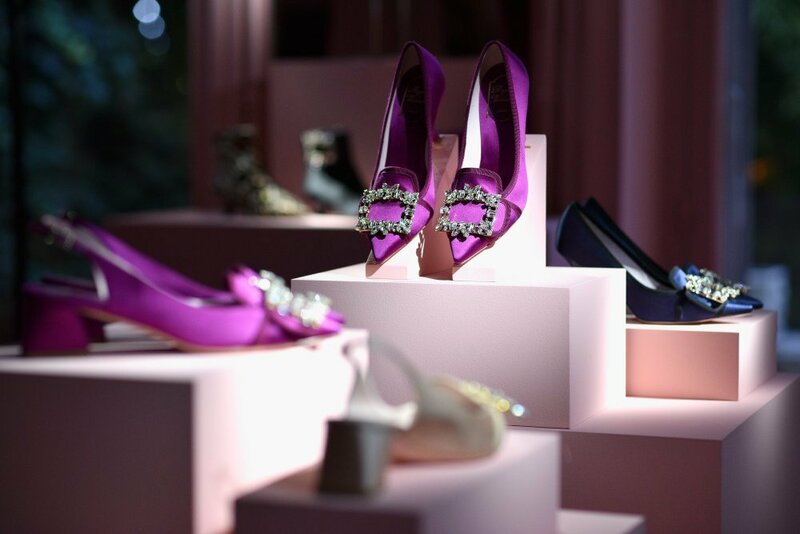 It is a fascinating place where visitors are invited to discover the world of Roger Vivier. Six women and five rooms. Five artistic professions that reflect his work and life. Liberated, contemporary, and eclectic characters; framed with cinematographic quality in their intimate setting, a representation, yet a false reality. Before meeting any of them, the mistress of the house welcomes her guests into this captivating establishment and ushers them through the story. The Sculptor, the Photographer, the Dancer, the Lyrical Singer, and the Actress. Everyone plays a role in this unlikely movie. Every room has its own movie camera filming scenes in real-time and projecting them on screens at the entrance of the hotel, putting visitors at the heart of this cinematographic experience. Gherardo Felloni believes that the essence of Roger Vivier can be distilled into three fundamental pillars: silhouette, colour and exclusivity. Each one is articulated in new ways. The distinctive silhouette is enhanced by a low kitten heel creating a modern look with couture flair. When it comes to colour, Felloni never shies away from it. The rich colour palette carried through the collection is not just a bold style statement, it is a powerful vehicle to project the joie-de-vivre and positivity that have always been part of Roger Vivier’s DNA. Exclusivity, the final essential ingredient articulated by the designer in his collection is a nod to Monsieur Vivier’s creations, unique works of art commissioned for special occasions that showcased exceptional craftsmanship, unbridled creativity, elaborate shoes embellished with feathers, crystals, knotted threads. At the heart of the collection, the Très Vivier creations continue a long tradition of unapologetic elegance, displaying the same head-turning qualities as the legendary pumps that took the fashion world by storm in the 1960s. The large square buckle in polished metal pays tribute to the aesthetics of the original pump, while a myriad of materials and textures brings Vivier sophistication, and the new Très Vivier bag with an oversized buckle is designed to be perfectly paired with the pumps.